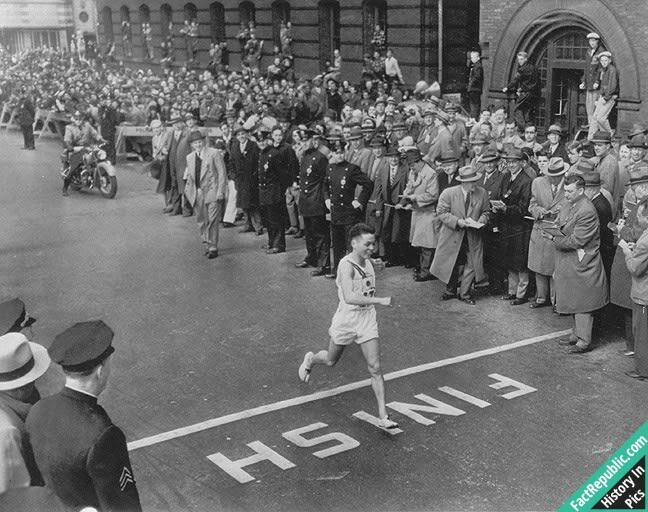 Tanaka’s win inspired in Japan an enduring enthusiasm for distance running and an affection for the Boston Marathon. In 1998, Tanaka’s house was ransacked and his Boston Marathon winner’s medal was stolen. A dog is dressed up by a German soldier, 1940. 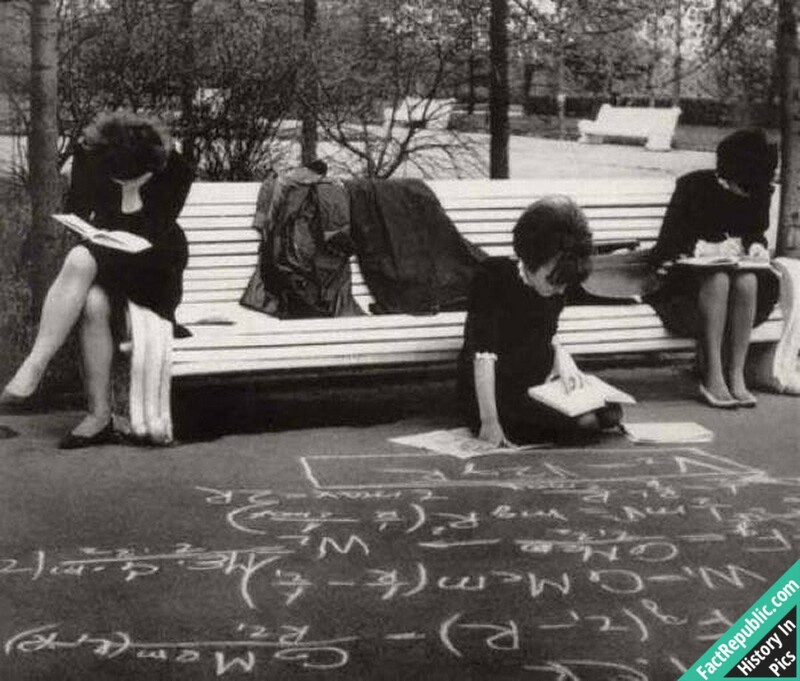 Female Soviet college students studying for their exams in a park in the late 1960s. 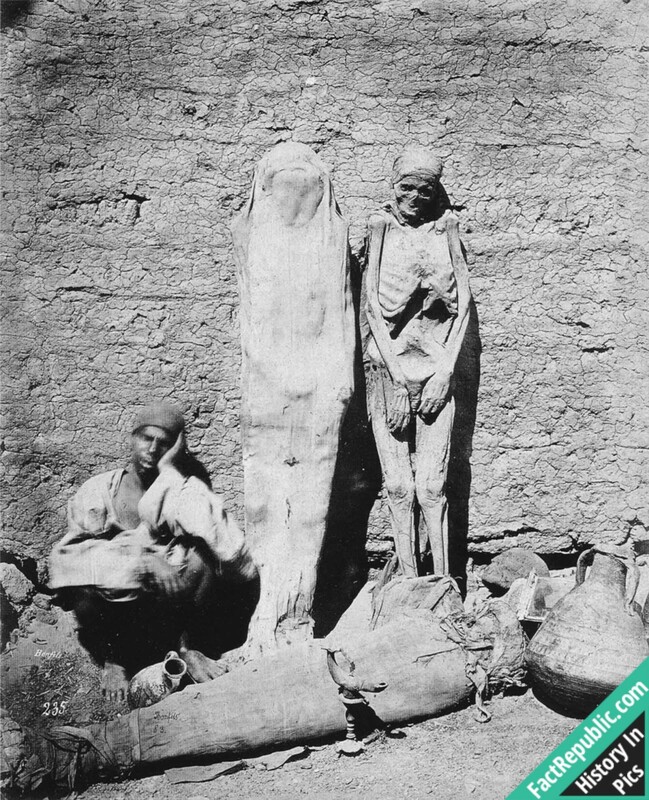 Street vendor selling mummies in Egypt, 1865. So brisk was the trade in mummies to Europe that even after ransacking tombs and catacombs there just were not enough ancient Egyptian bodies to meet the demand. So fake mummies were fabricated from the corpses of the executed criminals, the aged, the poor and those who had died from hideous diseases, by burying them in the sand or stuffing them with bitumen and exposing them to the sun. 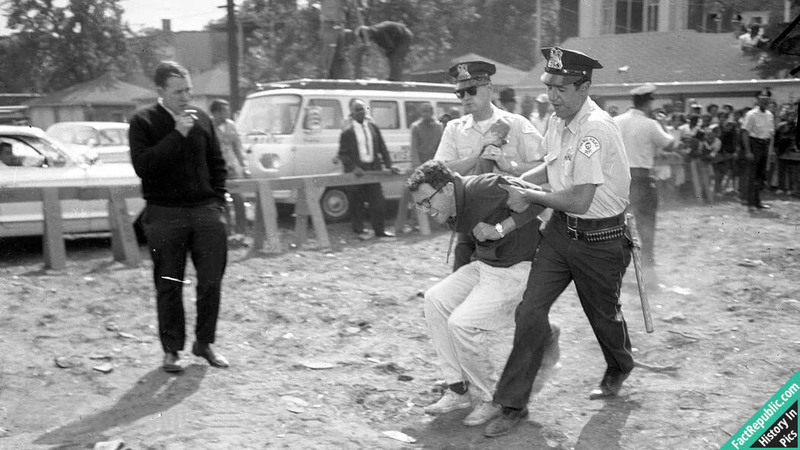 Bernie Sanders carried away by police during a protest, 1963. In the mid-1960s, protests over segregation in the area raged over mobile classrooms dubbed “Willis Wagons,” named for then-Chicago Schools Superintendent Benjamin Willis. The phrase “Willis Wagons” was believed to have been coined in 1963 by Rosie Simpson, a leader in education reform in Chicago. She was describing the trailers that Willis set up for black children instead of sending them to white schools. Sanders was arrested Aug. 12, 1963, and charged with resisting arrest. He was found guilty and fined $25.